Remember that mockup we had of the HTC Sensation branded with Beats? 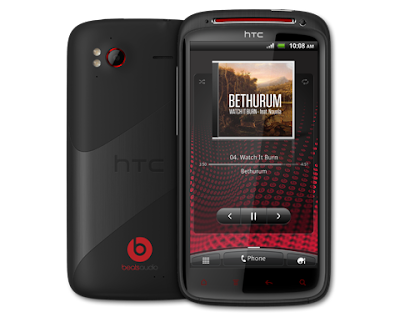 Well HTC is making that mockup a reality by annoucing the special edition Sensation XE their very first Beats enabled smartphone. It looks like this version of the Sensation will get the Beats treatment with improved music output quality as well as a speed boost to 1.5GHz and a battery boost to 1730mAh. Honestly, I have to say I really dig the red and black version of the Sensation. More info after the break. HTC Sensation XE with Beats Audio™ comes inbox with custom made Beats headsets, engineered to deliver extraordinary sound. 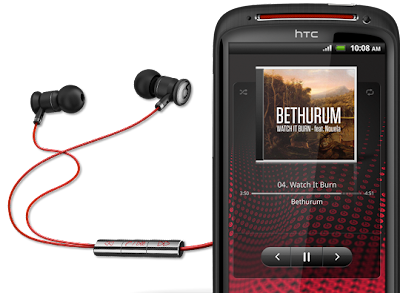 The specially tuned software and user interface delivers the ultimate mobile audio experience we know you’ll appreciate. Featuring an aluminum unibody construction and designed with touches of red, the phone feels premium and looks beautiful inside and out. No word on if this is coming to Canada, but we would not be surprised if Bell picked up this Sensation refresh.